Governor Baxter | The word is out! Governor Baxter is essential gear. The word is out! Governor Baxter is essential gear. These guys know a great dog bed when they see it! 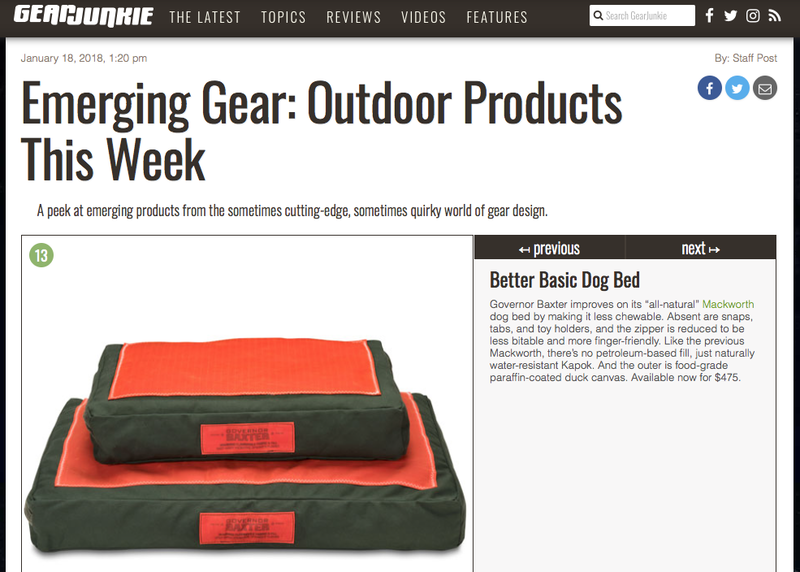 Check us out on Gear Junkie.